Need something simple and elegant in a side chair? 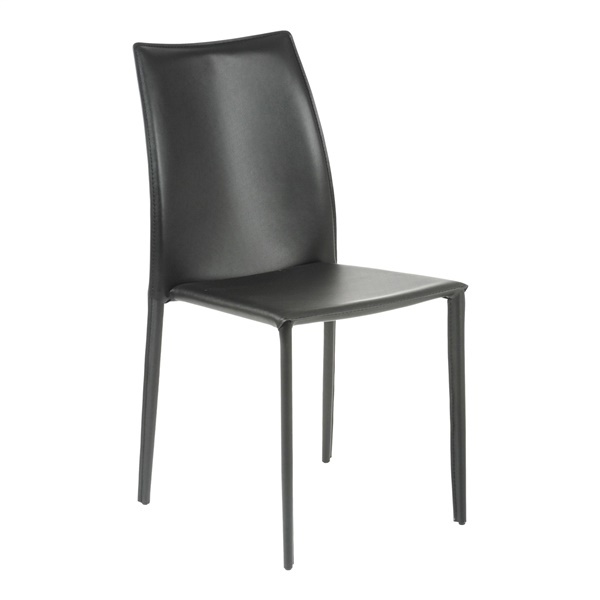 The Dalia Side Chair from Euro Style is a great option. When you look at this chair, you wouldn’t imagine what it would be like to sit in it. But the luxury it affords in comfort is incredible. It’s totally covered with easy-to-clean regenerated leather and offers a sturdy steel frame to sit on. It also is available in a variety of colors so it can fit in any décor. Yes, the Dalia Side Chair is stackable. Are the legs covered in leather? Yes, the steel legs are upholstered with regenerated leather.